ROCKLAND, Maine ― Beating out two other candidates at the polls, Benjamin Dorr will be the newest member of the Rockland City Council. Dorr, a business owner, secured 1,246 votes to win the seat, with Brandy Perkins receiving 711 votes and Harold “Dale” Hayward receiving 652 votes. Dorr is replacing Councilor Adam Ackor. Ackor was elected in 2016 but did not seek re-election. Dorr will be sworn onto the council later this month. “I’m very excited. I’m looking forward to learning about the process and to working closely with the other city councilors who I feel are doing an excellent job,” Dorr said. Dorr, 34, co-owns the vintage clothing shop Curator on Main Street with his partner, Emily Seymour. 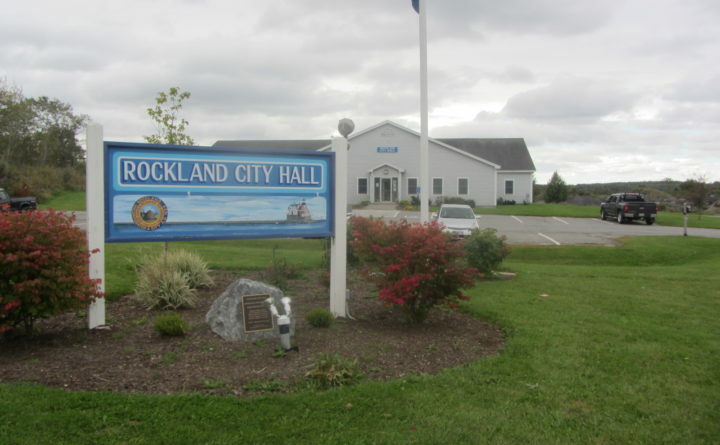 With Rockland at a “really transitional moment,” Dorr previously told the Bangor Daily News that he wants to be a part of the conversation as the city moves forward. The voice of a young, small-business owner is one that Dorr believes would be beneficial to have on City Council. A graduate of Camden Hills Regional High School. Dorr grew up in the area and lived on Vinalhaven before settling in Rockland, building a home and opening his business two years ago. “I just want to get in there and see where I fit in and become an effective part of the items that are going to be on the agenda. It’s more about trying to do right by the people of the city,” Dorr said.